Skiing is a notoriously expensive hobby. The equipment, the clothing, the $12 beers — all in addition to the cost of getting on the hill. For those lacking a season pass, planning a trip to the mountain is an intimidating prospect. Getting on the gondola at Aspen can cost you over $150. Lift tickets at some resorts have gotten so expensive that prices are hard to even find on their websites. Fortunately, there are more affordable options, some even leaving enough in your wallet to splurge on après ski. As with most tips for saving money on a ski trip, finding these budget-friendly options comes down to thorough research, which we’ve done for you. A few resorts offer prices dipping to about one-third of what top-tier resorts charge to get on the hill — which, when coupled with readily available lodging deals and off-peak season travel, puts the overall investment on-par with a typical summer road trip. We’ve got the lowdown below. 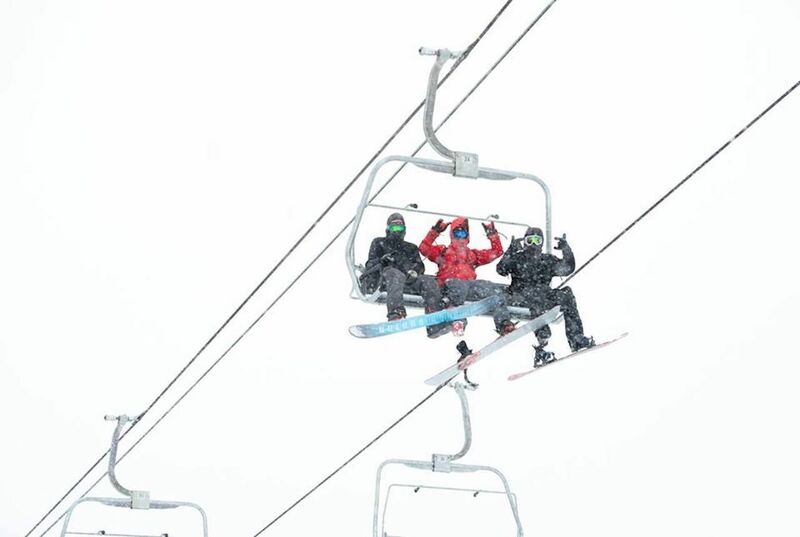 Most ski areas in the US offer a slew of discounts for specialized groups of people. If you’re a military vet, bring that ID with you to the ticket window. The same goes for students and seniors. Aspen hosts a massive blowout each year for its Gay Ski Week, and a number of other resorts have similar celebrations of inclusivity that come with discounted lift tickets. If you plan to ski multiple days at the same resort, inquire about multi-day lift tickets, which often come at a steep discount over buying a new ticket each morning. Before you flinch at that $79 price tag, hear us out. This is Colorado, a state that is the beacon call of the ski industry and a place not shy about boosting prices into the stratosphere. On the other side of the Eisenhower Tunnel, Breckenridge and Keystone charge upwards of $139 for a one-day pass. 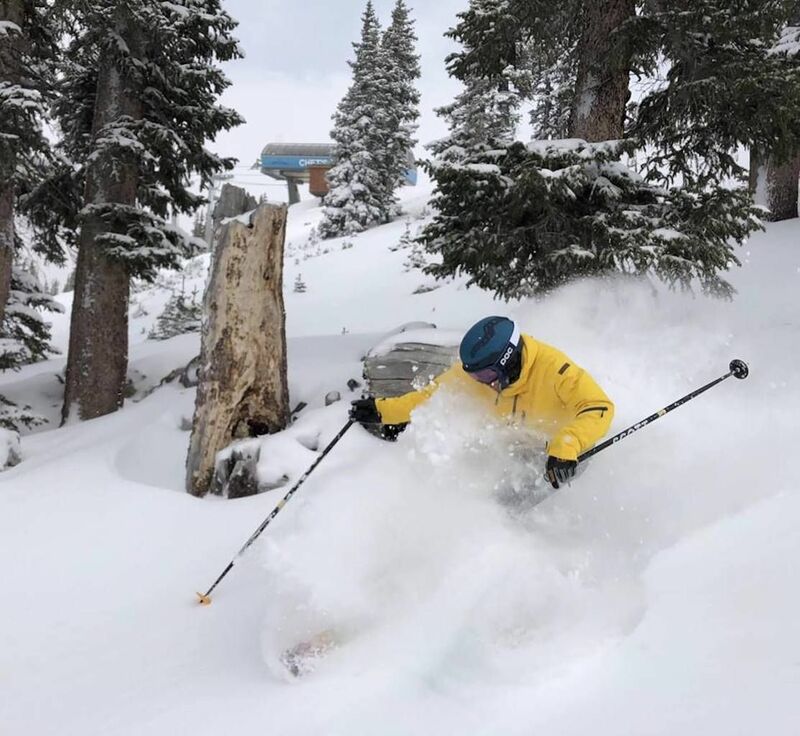 Loveland nearly cuts that number in half while still offering a resort-sized skiing experience (1,800 acres) ripe with expert terrain, a decent park, and free close-in parking. It even throws in free snowcat skiing on The Ridge when conditions allow, a deal worth the cost of the ticket in itself. You also have the benefit of being closer to Denver than most other Colorado resorts — you’d drive right by Loveland en route to Breckenridge, Copper Mountain, or Vail. Jackson Hole is an incredible destination for a ski trip — unless you’re a bargain hunter. Keep loads of money in your pocket by heading to the southeastern part of the state and checking out Snowy Range Ski Area instead. The area’s marketing team has been hard at work creating a full-on resort experience for visitors, linking with the tourism bureau in nearby Laramie to offer ideas for après ski and off-mountain fun. The five lifts and runs range from super basic to the black-diamond-caliber chutes. Besides the far cheaper lift ticket, Laramie offers a number of hotels charging less than $60 per night for a room, a fraction of the cost you’ll find in Jackson. And, because it’s a college town, you can rest easy knowing the bar scene is on point. 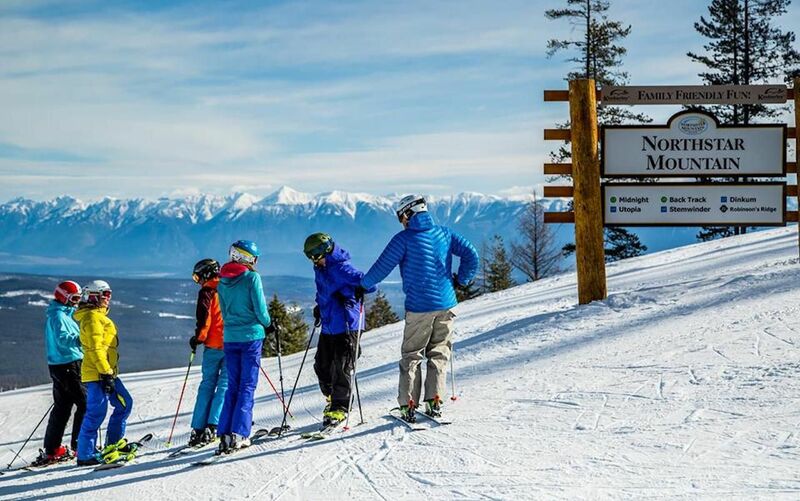 Skiers typically use Bozeman as their entry and exit point to Montana for its easy access to the famed Big Sky, just over an hour south. But you could save some massive dough by heading north instead towards the tiny town of Neihart and Snowdown Montana. Experienced skiers spend their time lapping the Prospector Lift and the black-diamond runs it serves to the skier’s right. There’s also plenty of intermediate terrain and a small freestyle park for the jibbers. 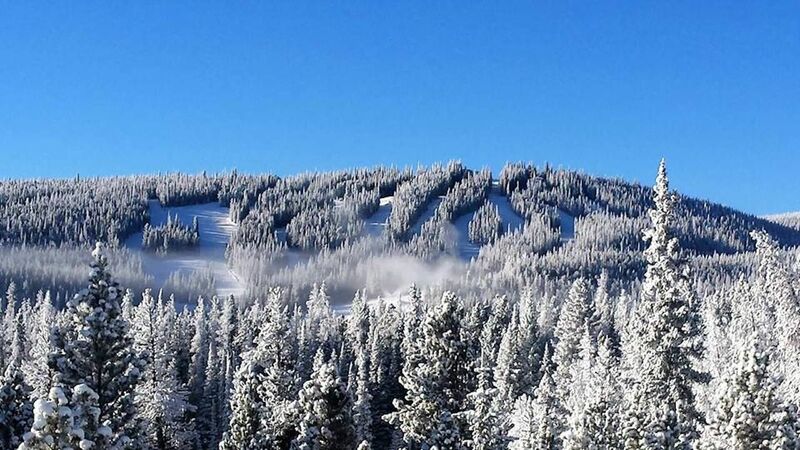 With 36 runs, the ski area makes incredibly efficient use of its 640 skiable acres. It’s far smaller than Big Sky, but as you sit over a $5 beer at the Hole in the Wall Saloon, you may find yourself pondering that old adage that it’s not the size that matters, it’s how you use it. South of Banff National Park, British Columbia’s Kimberley Alpine Resort delivers an experience on par with US resorts charging double its ticket price. Kimberley’s famed “four mountain faces” host 68 runs across 1,800 acres, allowing you to lose yourself across the backside of the peaks, far removed from the bustle of the base area. 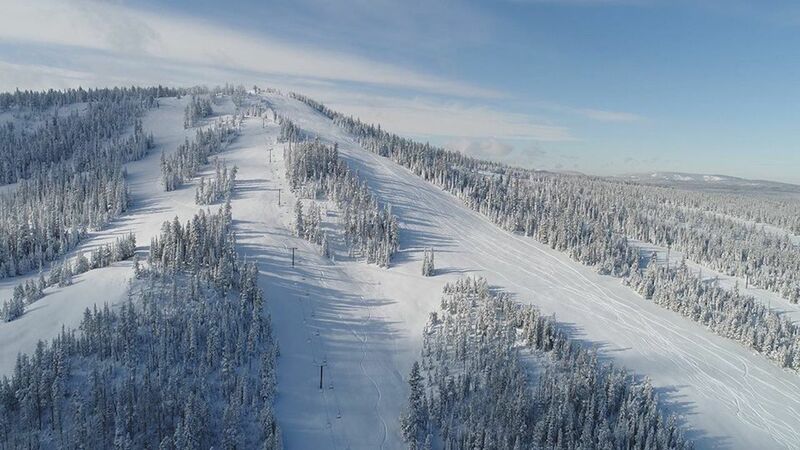 The aptly named Black Forest is home to many of the resort’s most challenging runs, including the legendary tree skiing that helped put Kimberley on the radar of powder hounds across North America. Night skiing is available if you didn’t get your fix during daylight hours. A dozen ski resorts surround the Tahoe area — on both the California and Nevada sides of the border. You get stunning views of Lake Tahoe, the largest alpine lake on the continent, and world-class resorts like Squaw Valley, home of the 1960 Winter Olympic Games. But you’ll be shelling out as much as $169 at the ticket window to ski at Squaw, quite possibly — depending on the weather — on heavy, coastal snow. If you’re new to skiing, this is not the place to start. Tahoe is epic, but landing a good deal and a place for newbies to find their footing in a non-intimidating environment can be a challenge. Enter Soda Springs, the place to be in Lake Tahoe if you’re a beginner not quite ready to make the full-on commitment to a new hobby. Soda Springs does boast blower powder lines every time it snows. It’s small with only fifteen trails, but this means it’s easy to find the stashes, bumps, and burns that make a good run a great one. Back in 1934, Vermont’s Middlebury College set out to, among other things, solve a pressing problem: how to get its two-planked students on the slopes as much as possible and where to base its renowned ski team. College kids don’t have any money, but — especially in places like Vermont — many of them still love to ski. Why not build our own ski hill, keep it cheap, and open it to the public, the college thought. 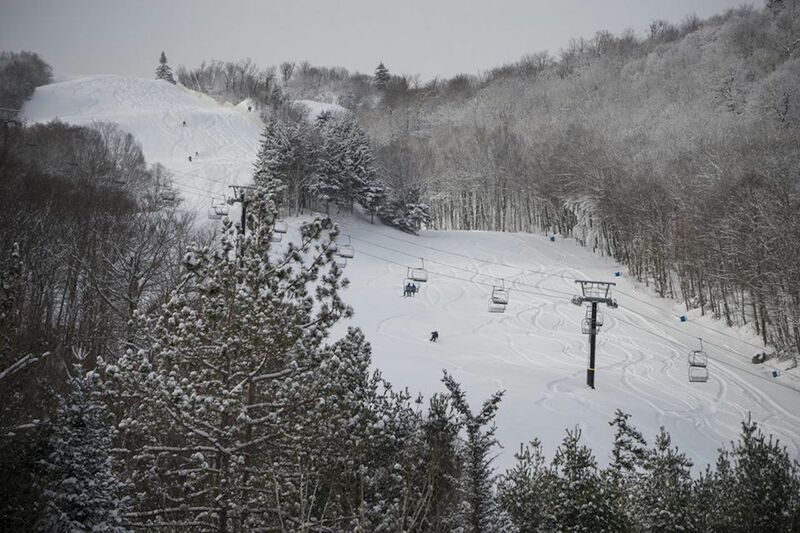 The idea stuck, and families across New England take advantage of the inexpensive weekday skiing on four lifts and a bargain-priced meal in the lodge afterwards. The hill’s 1,000 feet of vertical isn’t what you’ll find at Stowe or Killington, but the extra cash in your pocket feels twice as nice when you breeze through the non-existent lift line. Many skiers and snowboarders have two major problems with the French Alps. First, the region’s legendary off-piste powder keeps haunting their dreams, and second, they haven’t convinced themselves to cough up the dough for a trip to Chamonix or Megève in order to ease their slumber. When planning an international ski trip, a meager $150 lift ticket here and there is but a line item in a large expense sheet, but those lines add up quick if the trip is longer than a few days. 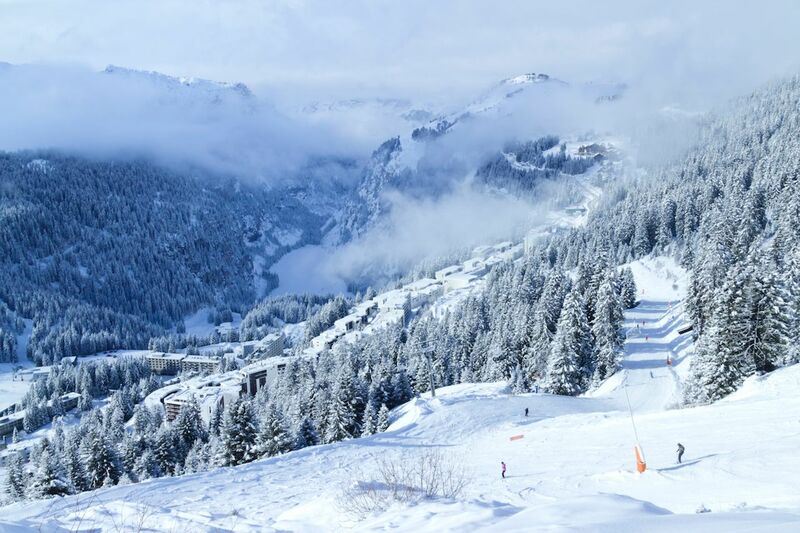 Interspersing a day or two at Flaine makes the trip a bit easier to swallow without sacrificing any part of the European ski experience. Classic high-mountain architecture dots the base, above-treeline bowls and long piste runs are aplenty, and finding yourself confused at the overall layout of the resort is all but guaranteed. 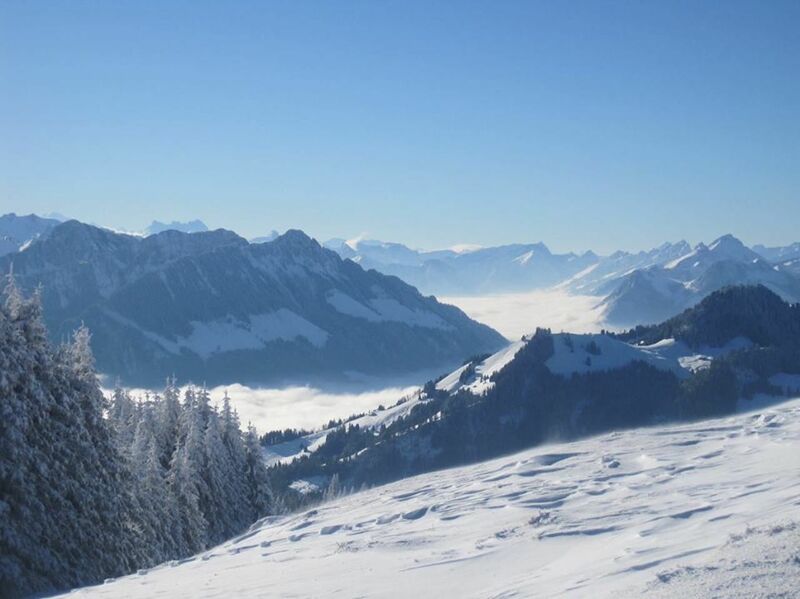 Switzerland is the mothership of skiing, the first place that many toss out when conversing with fellow ski bums about dream destinations for a powder vacation. It’s a country whose cities are built at the base of some of Europe’s most stunning mountains and where, in winter, many fully functioning towns are only accessible by train or ski. The problem is that — since Switzerland isn’t part of the European common market surrounding it, and its snowy towns are hard to access — food and other basic purchases are crazy expensive. Le Berra is there to ease that pain with a steep break on lift tickets. The terrain is flowy and fast with plenty of spots to duck into the trees off-piste or make wide, arcing turns on-piste. Because this is Switzerland, you may find yourself paying nearly as much for a sandwich as you did on your lift ticket, but after a few turns overlooking Switzerland’s peerless Alpine views, the meal will go down smoothly anyway. 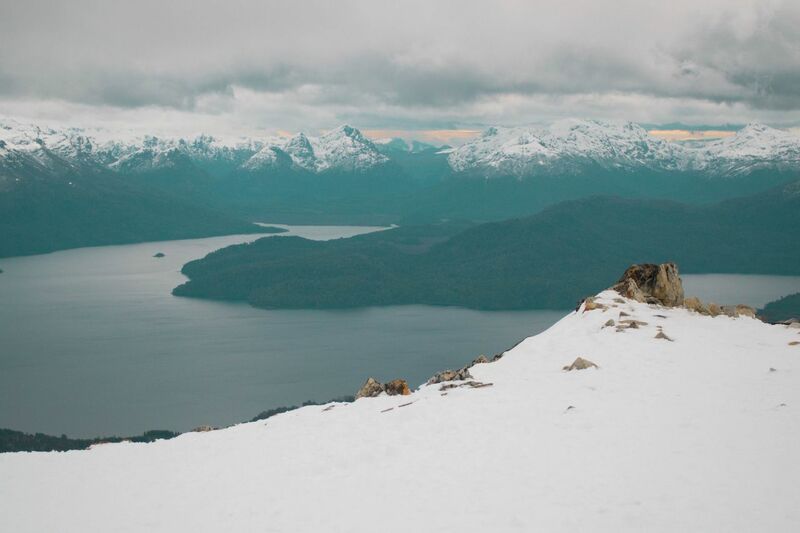 South American ski vacation tip #1: Save money by sticking to the Argentinian side of the Andes instead of the Chilean side. Take Cerro Bayo. Expansive, wide-open bowls, flowing groomers, and challenging trees all for less than $60 per day. Beginner terrain is ample and clearly separated from the more challenging terrain higher up, and you can top off the day with empanadas and beer at the AMEX Snow House. On-piste revelry is also available at the top of the gondola where the Altitud Bar de Amigos awaits with a cold bucket of Imperials and views that are as memorable as the ski experience itself. Temple Basin is the best of pretty much all ski worlds. It’s affordable, the terrain is excellent, and there’s usually no one there except for a handful of club members who basically live in the lodge during ski season. 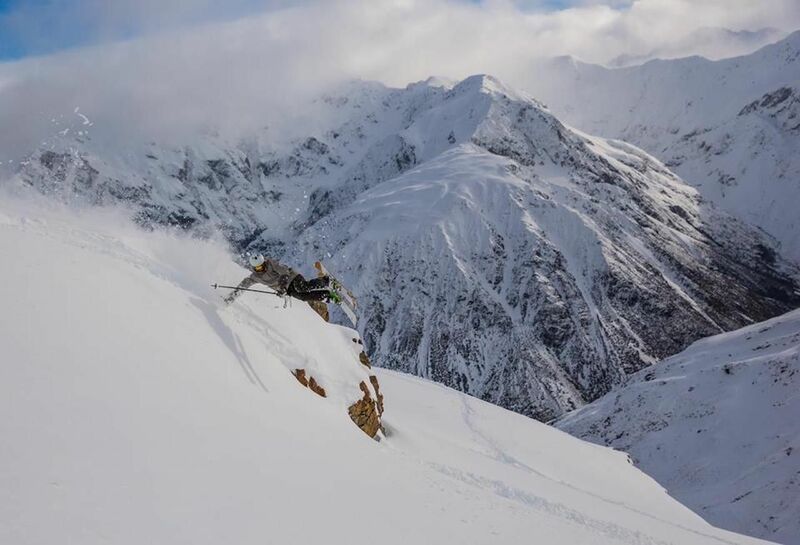 Club ski areas are often pretentious bastions of well-to-do douchebaggery, far from the type of place a budget-conscious skier wants to spend their time, but New Zealand presents an alternative here. First, its affordable rates are open to the public, with the added bonus of lighted night-skiing. Next, its location within the confines of Arthur’s Pass National Park assures unparalleled views. Third, and perhaps most important, the entire ski area is above treeline. Even the base lodge. You’re practically guaranteed unlimited powder turns and the space to get as gnarly as your ability lets you. There’s only one thing left to say: Take my money.